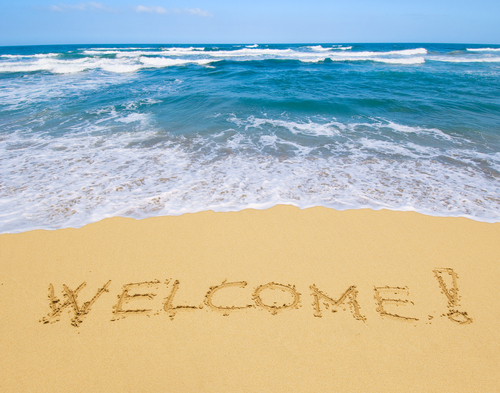 My colleague Mark Robertson recently wrote a great blog post entitled ‘Hello and Welcome’ on some points to consider when conceiving a welcome programme. I wanted to follow on from what he’d talked about with some hints and tips of my own by providing you with a checklist for devising a successful welcome programme. But before jumping straight in it’s important to get the overall objective of a welcome email strategy right. It can be helpful to think of a welcome email like a first date! You will probably spend time planning where to go, what to wear and what questions to ask on the date, all with the aim of making the best possible impression. Similarly with a welcome email you should make sure you get off to a good start, remembering that first impressions do count. Once someone has signed up to your newsletter you need to make them feel valued, reassured and appreciated. If you only confirm a person’s subscription then you’re missing a trick. A welcome programme provides you with the perfect opportunity to engage new customers, drive sales and set the tone for your future relationship. Ensure the recipient knows the welcome message is from you! This site has a diverse range of welcome emails examples here. If you have any interesting welcome emails (good, bad or ugly) do send me a link via the comments box and I will endeavour to use them in a future blog post. A well constructed welcome programme isn’t just simply a question of saying ‘hello’ it is a sequence of optimised messages to new subscribers and if you get it right you might reach date number two! You may also be interested to know that we will be bringing out an extensive Email Welcome Study very soon, so be sure to watch this space!